This past weekend, my friends and I went to True Nosh for my friend's 36th birthday. We had a cooking class with company owner Renee Chan, a registered dietitian. This unique Vancouver-based business brings together nutrition and exercise and shows you how to put both into practice in the True Nosh yoga studio, which is located right next to her the cooking class kitchen (located at 2200 Ontario Street in Vancouver, BC). 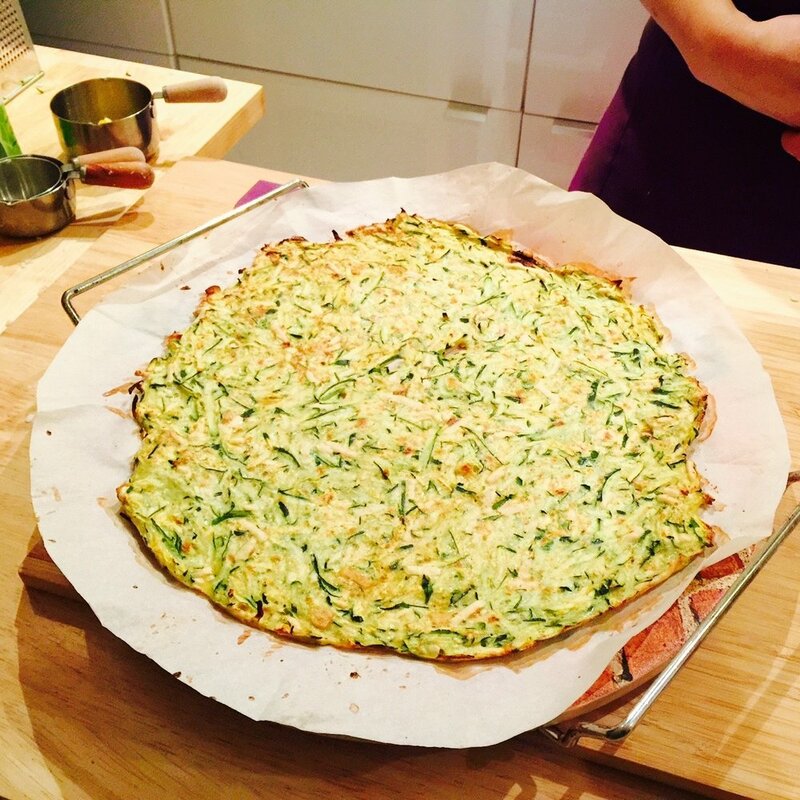 Our night included a cooking class party at the True Nosh HQ with Renee where we learned how to make parsnip soup and zucchini crust pizza for dinner and stuffed apples for dessert - all from scratch! Anyone that knows me knows I am a bit challenged in the kitchen, but Renee made everything so easy to learn and for the first time I thought to myself "Hey, I can make those vegan healthy pizza crusts I see on Instagram stories all the time!". You can book your private group class with Renee - all food and ingredients are included. 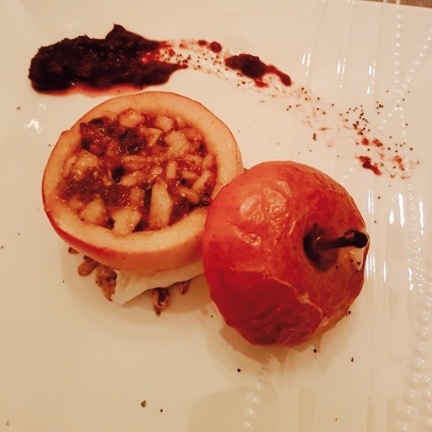 True Nosh also offers regular cooking classes on Wednesday nights from 6:30-9pm, and a brunch cooking class on Saturdays from 11:30am-2pm - click here their current schedule. I think for anyone that is exploring vegetarian or vegan recipes, Renee would be my go-to expert to learn more, try new recipes and learn how to incorporate it into your everyday life. 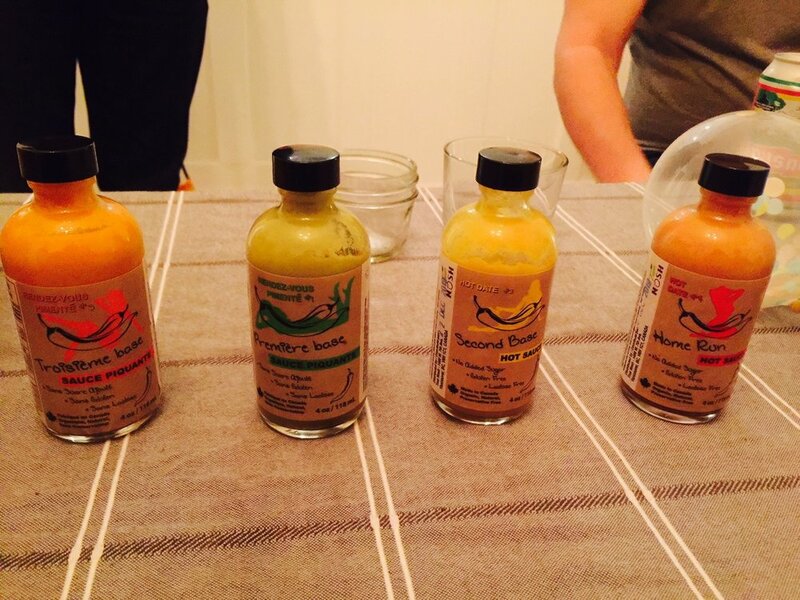 Lastly, you must try the True Nosh product line, which we got to taste-test with our meal. It includes hot sauces, compotes and granola - which are all organic, dairy-free and preservative-free. My favourite hot sauce in the "all 4 hot dates" grouping, was the "Home Run" (Ingredients: red cherries, onions, dates, ghost peppers, garlic, smoked paprika, Himalayan pink salt, extra virgin olive oil, apple cider vinegar). Renee was such a lovely host. I'm just looking through my calendar now and looking for an excuse to book my next party or girl's night at True Nosh!